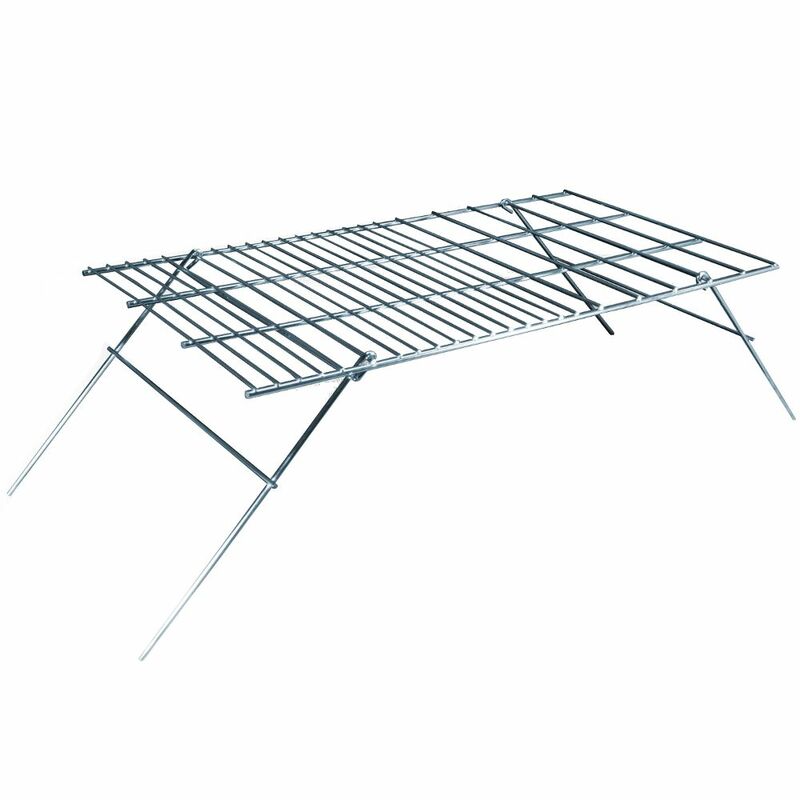 This sturdy steel, large folding grill is ideal for groups looking to cook over the edge of a campfire at festivals. 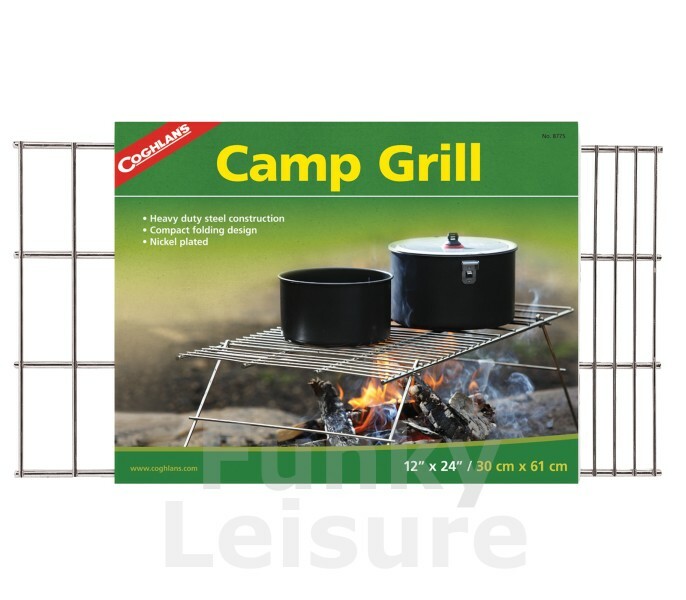 This Campfire Grill folds flat so takes up minimal space and is easy to transport. With a large cooking surface of 30cm x 61cm this grill is ideal for groups cooking with multiple pots and pans or with lots of items to grill. Finished in nickel plating, this Campfire Grill will also clean up easily - ready for your next festival weekend!